Band of Horses has confirmed that its fourth album, Mirage Rock (Brown/Columbia), will be released on Monday 17th September. The follow-up to 2010’s Grammy-nominated Infinite Arms, Mirage Rock is the first Band of Horses record to be produced by Glyn Johns, who was inducted into the Rock and Roll Hall of Fame this year in recognition of his work with The Beatles, Bob Dylan, The Rolling Stones, The Who, Led Zeppelin, The Faces, Eric Clapton and too many others to list. 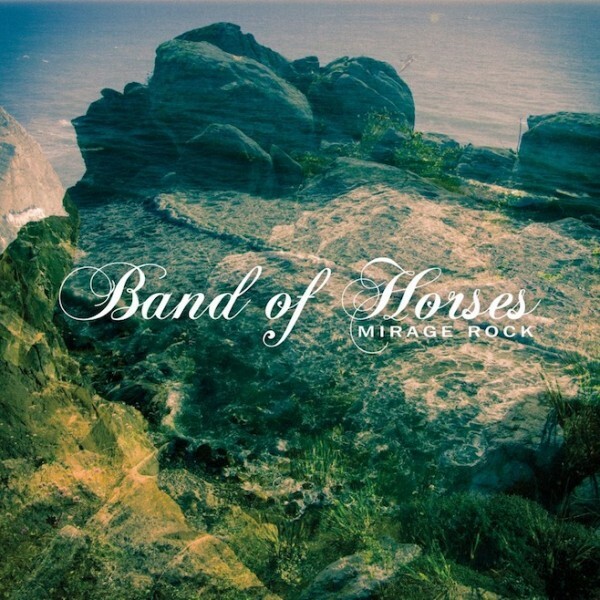 Recorded at Sunset Sound in Los Angeles, Mirage Rock is arguably Band of Horses’ most cohesive and accomplished set of compositions and performances to date. Band of Horses will spend the summer lead-up to Mirage Rock’s release as special guests of My Morning Jacket, road-testing tracks from the forthcoming album alongside favorites from Everything All The Time, Cease To Begin and Infinite Arms. The band’s first set of confirmed dates following Mirage Rock’s release is a UK/Europe headline tour (see below), tickets for which go on sale on Friday 13th July at 9am. Check www.bandofhorses.com for ticketing details. As on Infinite Arms, Band of Horses is Ben Bridwell, Creighton Barrett, Ryan Monroe, Bill Reynolds and Tyler Ramsey.